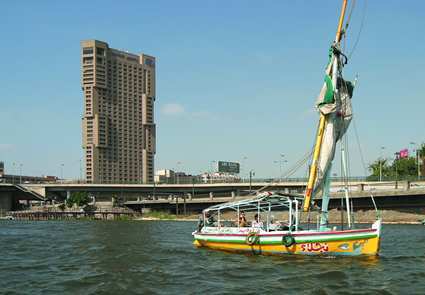 Located on the banks of the River Nile, the Ramses Hilton hotel is a stunning destination in the heart of Cairo. Take in views of the Nile and the Pyramids from this Egypt hotel's 36th-floor Windows on the World restaurant. Relax by the outdoor pool or enjoy coffee and pastries at the Garden Court Café. The Ramses Hilton hotel boasts a British-style pub, an Indian restaurant, a shopping Galleria and Executive Lounge. Only 45 minutes from Cairo International Airport, the Ramses Hilton hotel is 5 minutes from the Egyptian Museum and within easy reach of famous Cairo attractions. 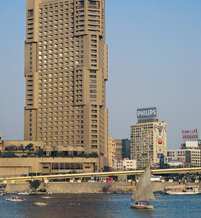 Let the staff at this Cairo hotel arrange a day trip or organize transport to the surrounding region. Do business in one of 8 meeting rooms or celebrate in the ballroom for up to 600. Work out in the gym or indulge in a soothing Jacuzzi at the Health Club.